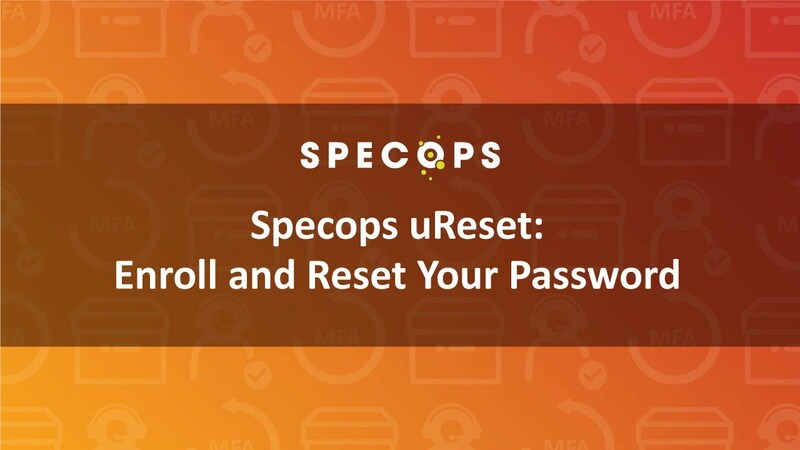 Specops uReset revolutionizes self-service password reset by enabling authentication choice. With support of over 20 identity services that can be weighted and layered to increase identity security and end-users understanding of it, uReset guarantees that your end-users will always be able to complete the reset/account unlock task in the most secure and intuitive manner. The solution also supports pre-enrollment options to ensure immediate adoption and the ease of mind that your users can and will access the system effectively – anytime, anywhere from any internet connected device.